Ahmedabad (also spelled Ahmadabad) is the sixth largest city (pop. 6.5 million) in India. 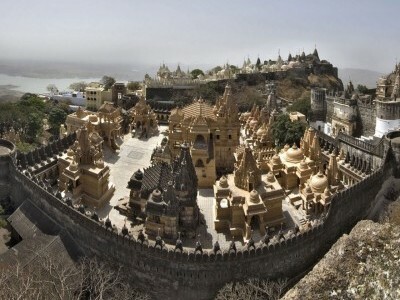 Ahmedabad is the largest city and former capital of the Indian state of Gujarat. With a population of more than 5.8 million and an extended population of 6.3 million, it is the fifth largest city and seventh largest metropolitan area of India. Located on the banks of the River Sabarmati, the city is the administrative center of Ahmedabad district and was the capital of Gujarat from 1960 to 1970; the capital was shifted to Gandhinagar thereafter. In the middle of 1990’s it was the fifth largest city in India. In colloquial Gujarati, the city is commonly called Amdavad. Ahmedabad was founded in 1411 by Sultan Ahmed Shah to serve as the capital of the Gujarat Sultanate, and was named after him. Under the British rule, a military cantonment was established and the city infrastructure was modernized and expanded. The city established itself as the home of a booming textile industry, which earned it the nickname the “Manchester of the East.” The Gujarati community, in here is largely known for its hospitality and for being shrewd businessmen. Located near Vadaj, the Sabarmati Ashram was once house of Mahatma Gandhi. 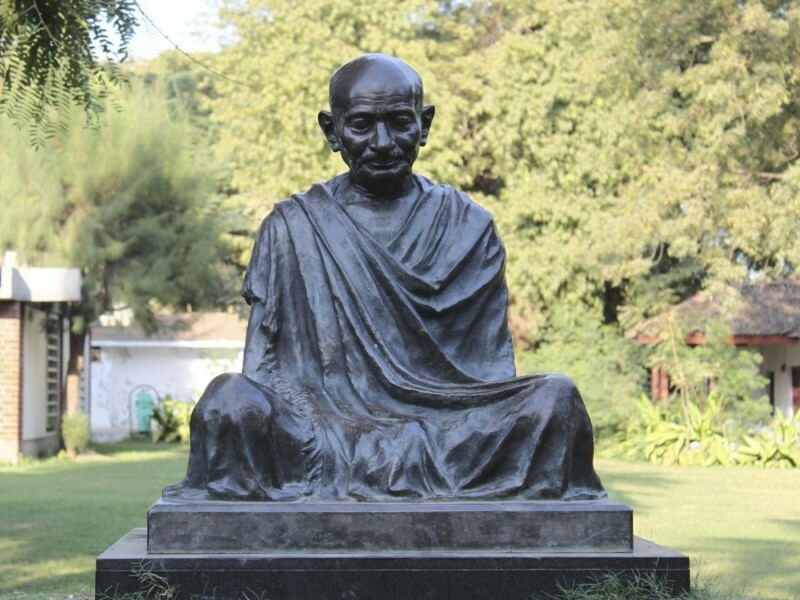 The ashram was founded by Mahatma Gandhi in 1915, and today without doubt, it is the biggest tourist attraction in Ahmedabad. It lies on the tranquil stretch of the Sabarmati river and was referred to as the Satyagraha Ashram during the lifetime of the Mahatma. It was from here, that the Mahatma began his famous 'Dandi March' in 1930 to protest against the Salt Tax imposed by the British. One can see the three wise monkeys and many more of Gandhi’s teachings at the ashram premises. The ashram today continues the work started by Mahatma and houses a handicrafts centre, a handmade paper factory and a spinning wheel factory. Besides, there are several other attractions for the tourist. Sidi Sayed Mosque is unique for its exquisite screens, which are praised for their amazing Jhali screen, framed, in the ten semi-circular windows. The screen carved out of one rock is just exceptional. A visit to this superb and outstanding example of delicate carving is an absolute must. To add special charm to the varied sights of the city there is the Bhadra Fort, which once housed royal palaces and well-laid gardens. 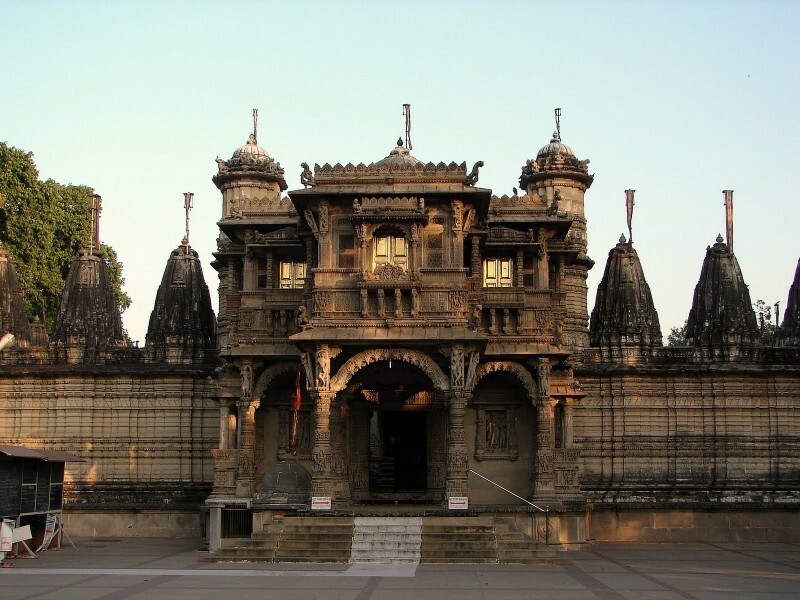 It boasts the temple of Bhadrakali and was built in 1411 during the Maratha rule. A living heritage, the structures are 200-400 years old and the people living in there are original Ahmedabadi families and they still live there traditions. Souvenir shop there where you could see all local crafts. There is an old world charm created in a huge house which is like a palace. Rich and Wonderful architecture. Located in Gandhinagar, about 20 km from Ahmedabad. A circular lake built in 1451 by Sultan Qutub-ud-Din. In the centre of the lake is an island garden with a summer palace known as Nagina Wadi. It has a very beautiful Musical Fountain show (although the music isn't too good, the lights and fountain are worth a trip). The lake is a popular recreation centre surrounded by parks, 'Bal Vatika' - an aquarium, a boat club, a natural history museum and a zoo. One of the finest textile museums in the world in one of Gujarat's famous carved wooden havelis. The museum displays a magnificent collection of rare textiles dating back to the 17th century. It has the finest collection of not just textiles and clothes but also furniture, temple artifacts and crafts in the country. It has no less than five centuries of the finest fabrics spun, woven, printed and painted in different parts of India. It has a collection of marble, sandstone and bronze icons and busts split in two thematic sections- gallery for religious textiles and historical textiles. An excellent reference library on textiles is found here. It is amongst the most popular tourist sites in the city. Built of yellow sandstone this mosque stands on 260 pillars which support 15 domes at varying elevations. The mosque was built by Ahmad Shah in 1423. It is easily accessible as it stands in the centre of the old city. This imposing structure reflects the Muslim architecture of that period. Watch a Bollywood movie in a drive in Theater. Makar Sankranti or festival of kites or "Uttarayan"
14th January, in the festival of Makar Sankranti or festival of kites or "Utarayan". The festival marks the end of winter and return of the sun to northern hemisphere and hence is named "Uttar ayan". On this particular day, everybody in the city start the day through kite flying and continues into night with the flying of lamps (Tukkal) attached to kites in the sky. The sky remains dotted with colorful kites throughout the day. Navratri or the festival of nine nights is devoted to Goddess Shakti. The festival also has the famous folk dance of Gujarat "Garba". The festival continues for nine nights, everybody takes part into it with same emphasis. Each night starts with ceremonial "Aarti" and is followed by Garba until midnight. The Garba dance is carried out around the statue of Goddess Shakti. Garba is also played with Dandiyas in hand. During these nights, city is been beautifully decorated and nights become short. EID-UL-FITR is celebrated on the first day of Shaw'waal, at the completion of Ramadan. Shaw'waal is the 10th month of the Islamic calendar. The Eid-al-Fitr is a very joyous day; it is a true Thanksgiving Day for the believing men and women. On this day, Muslims show their real joy for the health, strength and the opportunities of life, which Allah has given to them to fulfill their obligation of fasting and other good deeds during the blessed month of Ramadan. The Muslims of Ahmedabad and surrounding villages come to Eidgah (a holy place to perform Eids' Namaz (prayer) and Shahi Jam-E-Masjid. The people decorate their homes, shops, buildings, greet each other etc. 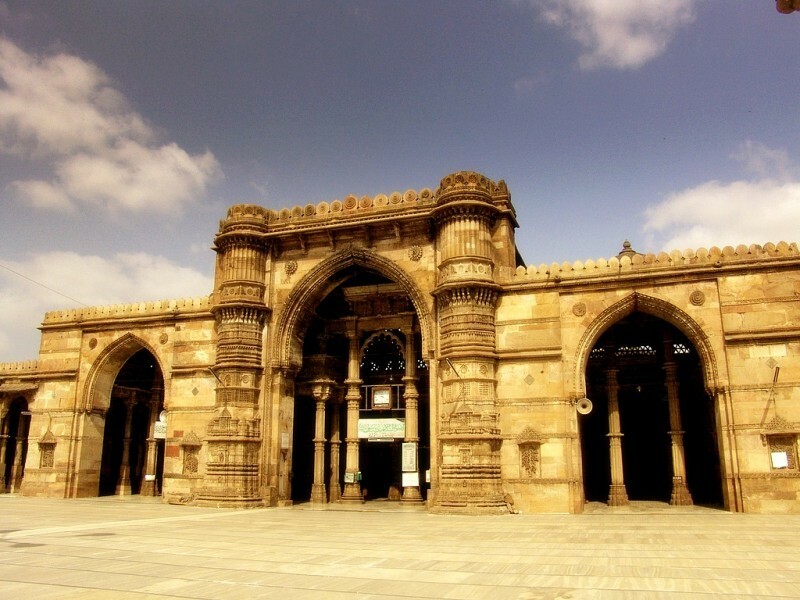 Adalaj is a village 18 kilometers to the north of Ahmedabad. The Vav (step-well) at Adalaj derives its name from the lady patron, Ruda, wife of the Vaghela chief, Virsinh; who built it in the 15th or 16th century A.D. The Vav, laid out in the north-south direction, the well in the north and in the south, has a total length of 75.3 meters. It is the only major monument of its kind, which has three entrance stairs leading to the stepped corridor. Just south of the railway station, outside the Sarangpur Gate, the Sidi Bashir Mosque is famed for its shaking minarets, or jhulta minars. When one minaret is shaken, the other rocks in sympathy. This is said to be a protection against earthquake damage. It's a fairly fanciful proposition, and one which you'll be unable to verify, unless of course you happen to be on the spot during an earthquake. About 65 km from Ahmedabad, spread over 120 sq. kms, the lake - Nal Sarovar - the extensive reed beds and marshes are an ideal habitat for aquatic plants and animals. The lake attracts a large variety of birds like plovers, sandpipers, stints, cormorants, grebes and openbill storks among others. The best season to visit the sanctuary is November to February. This sanctuary is about 30 km west of the city center. Just as Nal Sarovar, this lake attracts a large variety of bird species. It has become more preferable for the amdavadis to take an early morning trip here. Although it does not have any facilities like boating, it has turned out more favorable as this is a lesser known place. It will be best to rent a taxi for a morning as there is no public transport available here. 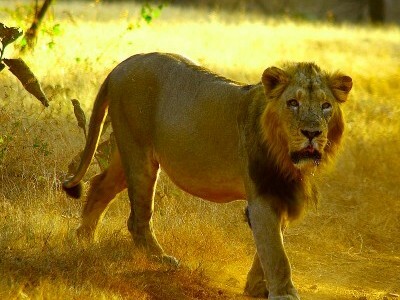 November to March is the best time to visit Thol Sanctuary. Let one of our tailor-made holiday experts help you plan a personalised Ahmedabad experience as per your budget and requirements.